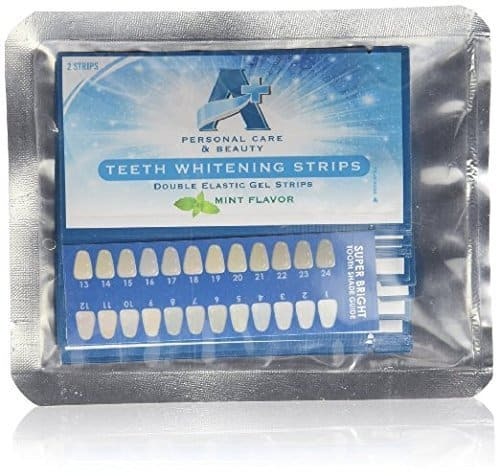 I have been using various whitening kits but personally never had White Spots On Teeth From Whitening Strips. After doing some thorough research I found that whitening strips or any form of whitening does not cause white spots to appear. They have always been there but the whitening process unfortunately reveals this scarred area more making it look like they just appeared. Are Whitening Strips To Blame For White Spots On Teeth? As I have just mentioned the answer is NO. It's actually the fact that your teeth have undergone demineralization and now they cannot remineralize at the right levels to reverse the problem. White spots on teeth are due decalcification which is a common concern among many people. The white appearance on the teeth is the first sign of carious lesions. It will leave part of the tooth discoloured and on average the size of this spot is between 2-50μm thick. This area has lost 30 - 50% of it's minerals and this extends into the enamel and the inner layer called the dentin. Decalcification or demineralization is the process where important minerals such as calcium and phosphorous are removed from the tooth's structure mainly due to the increase of acidic activity caused by bad bacteria. These bacteria multiply and attach to teeth in large numbers and causes plaque to build up. The bacteria in plaque love multiplying especially because of the oxygenated environment. If your oral hygiene is not up to scratch then you know what happens right? The plaque thickens and stops the saliva from penetrating onto the surface of the teeth. The outcome of this is that it causes calcium and ions of the portion of the tooth in contact to diffuse into the tarter. This is how white spots start to appear. Why Is Saliva So Important In Keeping Teeth Healthy? Saliva is an essential component when it comes to maintaining a healthy mouth. It helps to cleanse the mouth of food and debris, basically removing the sources that increase acidity. In addition to this it also has this great ability to dilute and remove organic acids from teeth. But the most important thing about saliva is that it is highly concentrated with calcium and phosphate ions as well as electrolytes and organic molecules. These help to stabilise acid levels and help the teeth stay in a remineralized environment. But like I mentioned earlier if your oral hygiene is not good then you risk white spots appearing on your teeth. Whitening Strips Only Make White Spots More Visible! If you read the last section you would now know that whitening treatments are not the cause of white spots, it's actually the remineralization/demineralization homeostasis which get imbalanced. 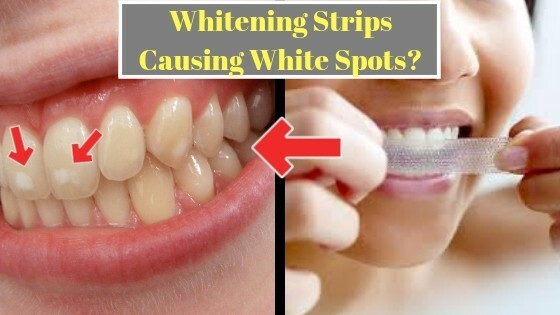 The only reason people complain of white spots after carrying out a whitening treatment such as whitening strips is because it appears more bright making it stick out. 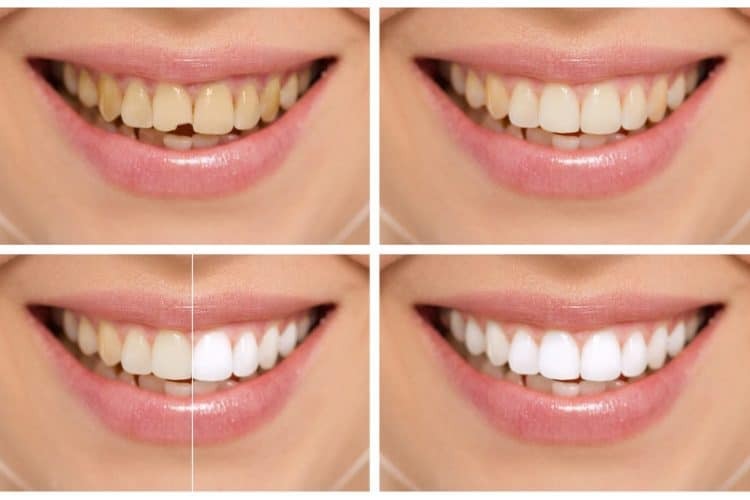 If the teeth had white spots on them before bleaching, it makes sense that they will be more pronounced after the treatment, especially for the first few days. However, there is some good news because the contrast between the spots and the rest of the tooth will reduce gradually over the course of the treatment and eventually they will just blend in to the colour of your teeth and not be noticeable anymore. Quite is often the case that you will notice these white spots immediately after a whitening treatment. Some teeth may appear banded with lighter areas, and again these banding's were already on your teeth before the whitening procedure took place. Well most of the time the white spots should eventually blend in with the tooth after a teeth whitening procedure. The first thing you can try to do is keep whitening your teeth and see if your white spots completely blend in but there is no guarantee this will work. The next option if your talking about completely removing the spots so they can never become visible, is to consider going to the dentist and ask for some restorative procedures. You may need to undergo some bonding or porcelain treatment to completely get rid of the white spots on your teeth. This is a pretty straightforward procedure where a composite resin usually made out of plastic is used to repair discoloured, chipped, decayed tooth. It's the easiest and least expensive procedure that is available at cosmetic dental practices. The composite resin can be shaped and polished to match all the surrounding teeth. It's actually the most common procedure used for improving the appearance of discoloured teeth but it can be used for other things such as closing spaces between teeth or to make them look longer. It's very adaptable in that sense. It's not a painful procedure and no preparation or anaesthesia is needed unless the bonding will be used to fill a decayed teeth. The price for this sort of treatment can range from $300 - $600 per tooth. If you only have 1 or 2 teeth that need updating then it isn't too bad but if you have white spots on most of your teeth, you will be looking at a massive bill. Keep that in mind! This is another option if you want to permanently get rid of your white spots. It's called porcelain veneers and they are thin pieces of porcelain that are used to create natural looking teeth. They also provide strength and stability just like our natural tooth enamel. It's quite popular among people who wish to make slight changes to the look of their teeth whether that is changing the shape or colour. This procedure is more time-consuming than bonding because the dentist has to remove a small amount of the natural tooth enamel (less than 1mm) so the ceramic layers of the porcelain can fit into place. This is crucial as it will allow room for the porcelain veneer to fit within the mouth so it can function properly. Another Added Bonus of using this treatment is unlike natural teeth, custom-made veneers can resist tea and coffee stains because of the high tech materials they are made of. They will last for several years without breaking or getting stained. The price for this type of treatment can set you back between $925 - $2500 per tooth. Unless you are well off financially or have only 1 tooth that needs fixing, this is probably out of your reach at this moment in time. I would personally recommend going for the bonding procedure because of the ease and the cost. Start With Remineralizing your Teeth First! White spots on your teeth are a result of demineralization of teeth at a higher rate than you are remineralizing them. Certain everyday activities like eating and drinking acidic foods will cause this much quicker. As acid attacks our teeth, thousands of microscopic holes are created in the tooth giving them a chalky-white appearance that is characteristic of a white spot. The main cause of decalcified teeth is the accumulation of plaque. Wearing braces can increase decalcification due to improper brushing, especially under and around the brackets. Once the braces are removed, some white spots may appear where the brackets were. Drinking highly acidic drinks will make you susceptible to white spots. Dry mouth could cause areas of decalcification. Without optimum levels of saliva, a dry mouth remains acidic for a long period. Nutritional deficiency could be another cause of white spots. Want To Know How I Remineralized My Teeth? 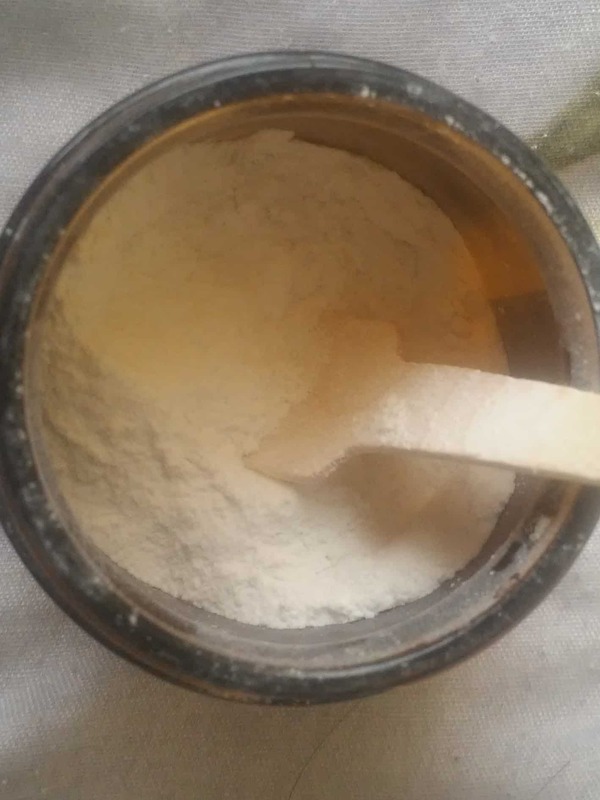 You might be new to this website but a couple of months ago I started using the Shine Remineralizing powder to help with the remineralization process of my teeth because I have a couple of areas where the teeth were becoming transparent. After using it for a month I noticed some impressive changes. After the first week I noticed that the sensitivity on my bottom middle tooth was drastically reduced. Before using this product I used to feel pain every time I flossed the bottom middle tooth but this was nearly gone after just 1 week of using shine. I have also included my pictures in that review although the camera isn't very good. But if your interested please go and read the full review at: Picture Proof to show you can Remineralize teeth naturally. It's common for people to complain about white spots straight after using a whitening treatment but if you think this is the cause of it, then you are mistaken. White spots on the teeth are usually already on your teeth before you even decide to get them whitened. This is due to the decalcification of your teeth. Put simply they are demineralizing at a higher rate than they are remineralizing. The bacteria in your mouth are producing bacteria which causes the calcium and phosphate ions to be taken away form the teeth causing plaque to build up. The saliva cannot penetrate through this thick layer of plaque which means no minerals are being delivered to your teeth. This causes lesions on some teeth known as white spots. There are a couple of options you can choose if you want to completely get rid of the white spots but they can be expensive. We advise that you first evaluate your oral routine and see what improvements you can make to help remineralize your teeth more efficiently before trying to whiten your teeth. That's it for today and we hope that you now understand why white spots come about. If you still have some questions please leave a comment below and we will be more than willing to help out. 13 Best teeth whitening strips (2018) That Actually Give You Results! Thanks for this article, as I completely convinced myself that the white spots I have on my teeth first started appearing when I started whitening. I put the two together, read a few ‘scare’ articles and bang – I had something to blame! So this effect is merely the whitening process ‘polishing’ or highlighting the white spots which have always been there? So is there any way we can replace these minerals in the effected teeth? Unfortunately once the white spots appear on the teeth, you cannot remove them by increasing mineral production. As mentioned in the article you can try bleaching to see if they blend in. If not, then you have the option of porcelain veneers or bonding. I never knew that teeth had white spots. I have never whitened my teeth so I guess I wouldn’t know since it wouldn’t show up otherwise. I had a chipped tooth years ago and it doesn’t look as good as the pic with the fixed tooth but I guess that they can do a lot better now then they could over a decade ago. I would really need to use some of that Remineralizing powder to help with remineralizing my teeth.